Amaranth was a staple food of the Aztecs. Today Amaranth is highly valued in India and Mexico where iron and energy rich sweet cakes are made by mixing the popped grain with melted jaggery sugar for example. Amaranth makes delicious breakfast porridge once it has been well-cooked. A good method is to firstly cook it in three parts water until tender, then cook again with plenty of soy milk and chopped dates, until it is thick and creamy and the dates have dissolved. Stir occasionally over a gentle heat. Popped amaranth makes wonderfully light amaranth granola. Amaranth is gluten-free and highly nutritious, containing more protein and iron than whole wheat, and four times the amount of calcium found in wheat. Amaranth provides a lot of energy, more than wheat or rice, due to its high protein and carbohydrate content. Amaranth is also high in lysine, an amino acid which most grains lack. 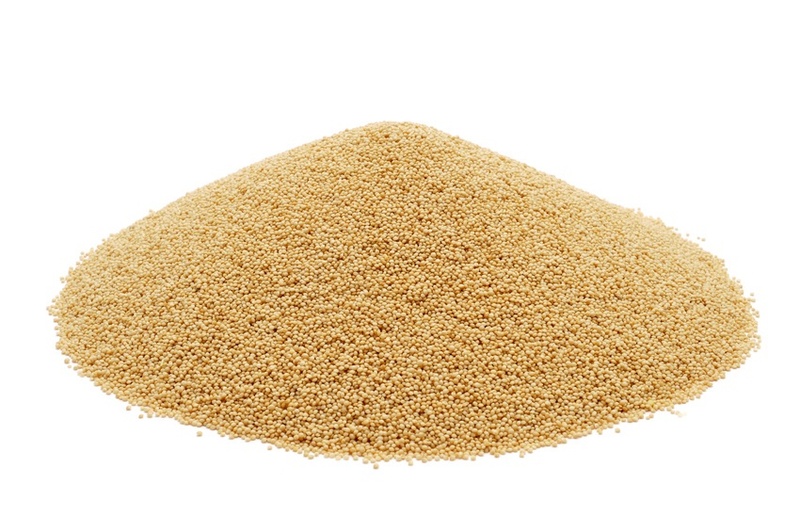 1/4 cup of amaranth grain (raw) is said to provide 60% of the recommended daily intake for iron.